Organizing a great meeting has a set of tough challenges! With 15 years of international experience in the field, we have learned how to make the presence of every person count. We turn meetings into a memorable and impactful experience. From planning to presenting, Evenium technology augments your talents, to achieve your business objectives with ease and success. 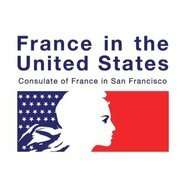 ​The Consulate General of France in San Francisco is in charge of French interests in 10 States and territories in the entire Northwest of the United States : Northern California, Northern Nevada, the States of Alaska, Hawaï, Idaho, Montana, Oregon, Utah, Washington, Wyoming and the Pacific Islands under US juridiction, including Guam. France-Amérique, the only nationwide bilingual French-English publication, is a monthly magazine composed of intellectual musings, thought-provoking columns, stunning photography, and a clean design. The entirety of French-American life and art de vivre is covered, making France-Amérique the true reference for the French cultural scene in the United States. Octamedia is a multimedia production company that produces high quality photography and video. We use a network of professional photographers, videographers and editors to produce creative visual content with high production value. The company was founded by Frédéric Neema, an internationally recognized and published editorial and commercial photographer based in the San Francisco Bay Area. Among the various services provided by Octamedia are video production, event and headshot photography.